A cult football figure, Vince Hilaire's career spanned over 600 games and took in spells at Crystal Palace, Portsmouth, Leeds United and Stoke City, playing in every professional division as well as for England at Youth and Under 21 levels. Hilaire shared a dressing room with some of the stars of the era including Kenny Sansom, Mick Channon, Gordon Strachan and Vinnie Jones, and was managed by some of the biggest figures in British football - Malcolm Allison, Terry Venables, Alan Ball and Howard Wilkinson. This book offers a fascinating insight into the methods of these managers - Allison and Venables' desperation to produce a side that rivalled the free-flowing football of the famous `Busby Babes', contrasting with the dourness and rigidity of Wilkinson's Leeds. 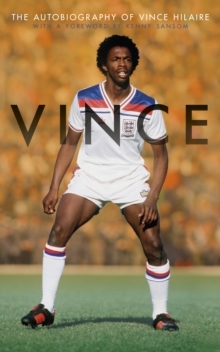 One of the first black players to break into the professional game, Vince made his professional debut at seventeen and was a member of the famous `Team of the `80s at Palace that topped the First Division table. He details exactly why that team fell apart so quickly and the chaos that subsequently engulfed the club. Vince also outlines the regular abuse that he faced as a young black player making his way in football and the dread he felt playing at certain grounds. This massively entertaining autobiography gives a fascinating insight into the beautiful game as it used to be played.